National Hollywood Reporter, Shannon Rose, also known as “Mr. Hollywood” sits down with Peter Facinelli, who plays “Dr. Carlisle Cullen” in the blockbuster smash cult film “The Twilight Saga: Breaking Dawn”. The Twilight Saga, based on the bestselling books written by world renowned author Stephenie Meyer, has been a hit across the globe. The popularity of the movie has grown so strong that it’s become the number 1 movie in the world. “Mr. 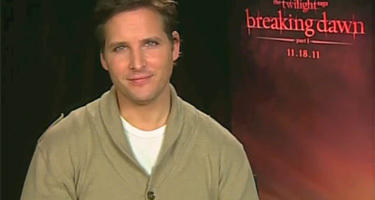 Hollywood” talks with Peter Facinelli about this new chapter in the saga. He takes you on a behind the scenes account from the set of Twilight from the actor himself. You’ll learn about the movie like you’ve never been able to before.